The new fence will be built if the EU-Turkey migrant deal collapses. 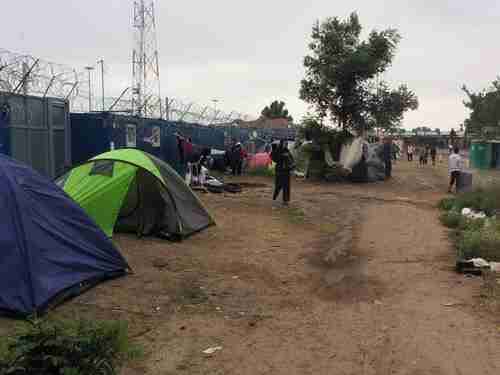 Last year, about 400,000 migrants crossed into Hungary from Serbia. That’s been reduced to 18,000 in 2016, because of the EU-Turkey deal, but it’s expected that the massive flood of migrants would return if the deal collapsed. Hungary has already passed a law imposing a three-year prison sentence on those who cross its borders illegally. Greece has been working to upgrade its overcrowded refugee camps, which have been described as abysmal, where security is lax and mothers with babies are forced to sleep on the ground in makeshift tents. Conditions are particularly bad on the Greek islands in the Aegean Sea — Lesvos, Chios and Samos — with new migrants arriving every day, but unable to travel any further. The issue of Syrian migrants in EU has rarely been in the news recently, so most people think that the problem is completely solved. Americans in particular have no clue what’s going on in the world beyond Donald Trump’s latest immigration plan or Hillary Clinton’s latest e-mail explanation. 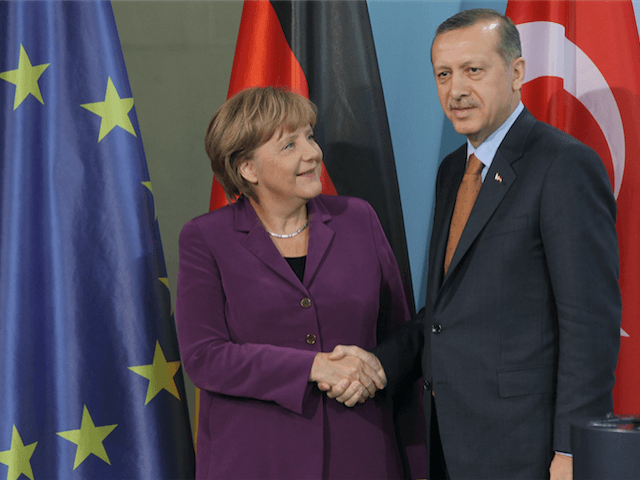 Nonetheless, there is a growing anger in Turkey that could lead to the collapse of the EU-Turkey migrant deal in September, as further negotiations proceed between the two parties. This anger was very evident several days ago, when US vice president Joseph Biden visited Ankara and was snubbed by obviously furious, stone-faced Turkish president Recep Tayyip Erdogan. Much of Turkey’s anger comes from a lack of support following the July 15 attempted coup combined with a series of horrific terror attacks perpetrated by both the Kurdistan Workers’ Party (PKK) and the so-called Islamic State of Iraq and Syria/Sham/the Levant, IS, ISIS, ISIL, Daesh). These coup threatened Turkey’s entire government, and the terror attacks are much worse than anything that Europe has experienced, and yet from Turkey’s point of view, EU officials have done nothing but criticize Turkey’s attempts to recover from the coup attempt and terror attacks. Turkey also points out that the terror attacks are a threat to all of Europe, as well as Turkey. Europe promised 3 billion euros in aid for Syrian refugees in Turkey. That money was due months ago, and has not been paid. Under the deal, Europe agreed to take 72,000 of the most vulnerable refugees, but has only accepted 1,000 so far. Under the deal, the Europe promised visa-free travel for all Turkish citizens in Europe’s Schengen Zone by June, and that visa liberalization has not yet taken place. Turkey also points out that it has taken in at least 2.7 million Syrian refugees and houses 270,000 in 26 provisional refugee camps with food, health and education services as well as psychological support, vocational education and social activities, and has spent 7 billion euros meeting their needs. EU considers Erdogan’s actions to be a major human rights violation, inconsistent with EU law, requiring remediation before the visa liberation can occur. However, even that reason doesn’t excuse the 3 billion euros in aid that hasn’t been paid. It cannot be that everything that is good for the E.U. is implemented by our side, but Turkey gets nothing in return. I don’t want to talk about the worst-case scenario. But it’s clear that we either apply all treaties at the same time or we put them all aside.